FCA Packaging designs, builds and manages industrial packaging for the world’s leading heavy equipment and industrial OEMs. Whether in wood, steel, or hybrid packaging; expendable, reusable or returnable products, we provide wide-ranging solutions for the storage and shipment of products of all types and sizes. Our manufacturing plant in Corinth, Mississippi is one of many locations we have throughout the United States. 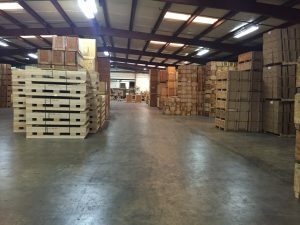 As with our other locations, this plant is centrally located to businesses in the area that need shipping and storage products for their products. It can also assist with national accounts needing custom shipping products or OEM packaging. We provide OEM packaging for a variety of industries throughout the United States. Customers rely on us to design and produce the packaging for their products, allowing them to focus on the manufacturing and marketing of their own products. Outsourcing the packaging design, build and management to FCA saves our customers time and money that they can devote to other tasks. All of our products are designed for companies that have complex and highly-customized requirement. We design and build packaging and shipping products for items large and small to ensure they’re secure during all phases of shipping and storage. We also design returnable and reusable packaging that we can recycle, refurbish, furthering your economic savings and sustainability goals. You can be assured that our industrial packaging will pass all package testing guidelines, including certified ISTA testing. In our ISTA – Certified Packaging Testing facility we can do inclined impact testing, drop testing, compression, vibration testing, and more. Each year our packaging solutions protect over a billion dollars’ worth of customer products and merchandise. We support our products with a variety of value-added services including design, testing manufacturing, container management and tracking, recycle management and repair and refurbishment. No matter the unique dimensions, weight or strength of the product you’re looking to store or ship, we’ll ensure that your items will be protected at all times. Whether you’re shipping on a truck across country or shipping it overseas, our packaging solutions will meet your requirements. Our specialties include Aerospace & Defense Packaging, Packaging for turbines, solar panels & other energy equipment, Engine & Motor Packaging, and Parts packaging. We also design custom packaging products for the manufacturers of high value specialty fabrics, films, and various other paper and plastics products. Our plant in Corinth works directly with surroundings businesses in Mississippi and the surrounding states, including Alabama and Tennessee. Our proven model of providing services in close proximity to our customers’ facilities allows us to deliver Just-in-Time (JIT) Manufacturing. We can often deliver orders within 24 hours and often in less than 4 hours if necessary. For all of the work we put into the design and building of your products, we know that cost is a factor. Not only are our custom packaging products economical, but we also only help reduce costs through redesigning your handling, lowering freight costs, storage costs, and reduced set up and take down of specific packaging. We are a total packaging solutions company for industrial customers of all kinds. We can work on-site if you have products that are too large to transport for packaging. We can also work on site to providing packaging services to reduce lead times and lower your costs. 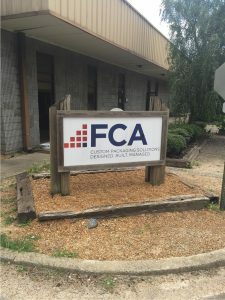 For over 30 years, FCA Packaging has been servicing companies throughout the United States. Contact us today to learn how we can help ensure your products are safely protected in shipment in a safe and economical manner.